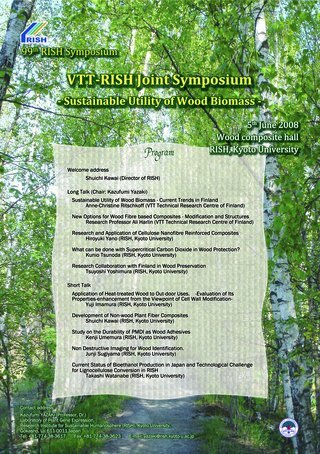 15:20–16:00 What can be done with Supercritical Carbon Dioxide in Wood Protection? 16:50–17:10 Application of Heat-treated Wood to Out-door Uses. 17:50–18:10 Non Destructive Imaging for Wood Identification.